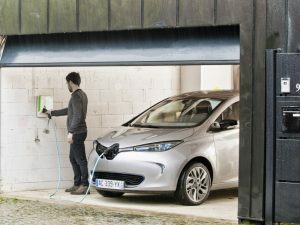 Fleets across Europe are being offered a free webtool which enables them to find the business case for using electric vehicles, based on a huge range of specific criteria. The webtool offers a bespoke business case for fleets to use electric vehicles. Developed by the EU-funded Incentives for Cleaner Vehicles in Urban Europe (I-CVUE) project, the Decision Support Model allows users to compare the total cost of ownership of EVs with petrol or diesel alternatives. The criteria can be fully adjusted to suit the requirements of the user and includes incentives and tax differences for all European countries, as well as comparative maintenance and electricity costs and other advantages such as inner-city parking availability. Results are presented in easily-read graphics. Co-ordinated by the Energy Saving Trust, I-CVUE is aiming to reduce the CO2 emissions of urban fleets by showing a business case for deploying electric vehicles. The project is mentoring 59 fleets – four times the original plans for between 10 and 15 and covering all sectors from city-based businesses to global brands. The results will be used as a case study for others.